Our service is ideal for people who would prefer to hire a van and move themselves, as opposed to hiring a professional removal company. Sometimes hiring a self drive van can be a hassle due to varying factors. We aim to eradicate all the hassle. We provide the van. We provide the driver. We will drive the van directly to your property and then you & your family / friends can load the goods into our van. Once loaded we drive the van to your new property & you can start unloading your goods. Job done. Save money by doing all the loading and unloading yourself. Allerton U-load is considerably cheaper than a standard removals firm. Plus no need to find a hefty deposit as you do with a self hire van. No need to worry about any risk of damaging a self hire van, and potentially paying £££'s in repair costs. No problems if you are under the age of 25, or have points on your licence, or simply can't drive. Plus no travelling to collect a hire van, as we drive it right to your home. We can provide everything you need for packing up your house - including strong boxes, bubble wrap, strong tape. 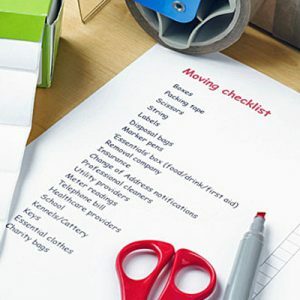 With so much to do - download our FREE Moving Checklist now, to make sure you don't forget anything. Really good services for very reasonable prices and great customer service! No stress- just load & unload , Would recommend for anyone trying to keep costs down.